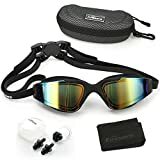 SUPERIOR OFFER – Adult Swim Goggles for Men and Women + Reversible Swimming Cap + Protective Case. We always love to offer more. CLAIM YOUR SPECIAL BUNDLE NOW! So right now, besides the Swimming Goggles – you GET TRIPLE the value. 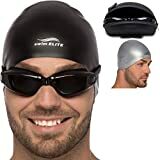 This set contains the Swim Elite Reversible Swim Cap (wear it on both sides) and a Protective Case to carry your new Swimming Goggles safe and in style. 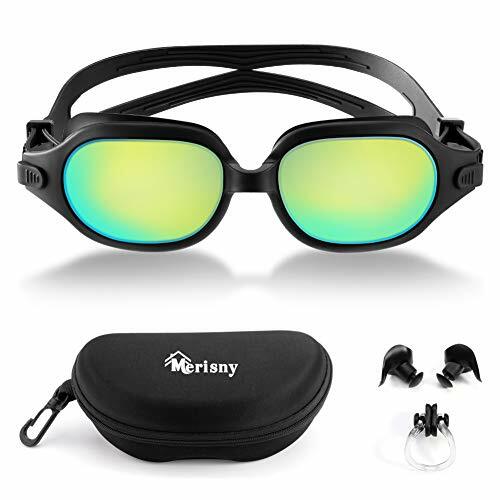 LOOK GOOD – 5 SWIM GOGGLE FEATURES – Our Adult Swimming Glasses are made for your needs: (1) Underwater Goggles with Silicone cushions for comfort, (2) 100% U.V. Protection, (3) Water Goggles with Anti-Shatter Lenses, (4) No-Fogg Coating, (5) Adjustable Head-Strap. 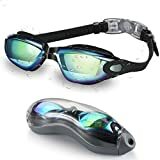 Easily adjustable Underwater Goggles for both Men and Women, beginner or expert. SWIM GOOD – BETTER UNDERWATER VISION for your swimming experience. See for yourself! The Swim Elite Adult Swim goggles for Men and Women have 180 Degrees field of vision coupled with the NO BLUR and NO GLARE finishes reduce tunnel vision and allow you to see clearly every time. Our Water Goggles & Reversible Swim Cap have been tested by Professional Swimmers and it’s guaranteed to enhance your swimming experience. FEEL GOOD – Swim Goggles for Men and Women with FULLY LEAK PREVENTABLE TECHNOLOGY – For Your Comfort! 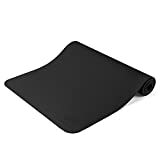 The soft silicone frame and nose bridge are not only designed to be comfortable, but they create the perfect amount of vacuum to KEEP WATER OUT. This way, you can protect your eyes from the chlorine that might irritate them. Plus, you put them on and take them off with just ONE CLICK. Easy-peasy. Our Swimmers goggles are extremely durable and made out of the absolute best materials. ALWAYS BE ENTIRELY SATISFIED: Your experience with the products is our guideline. 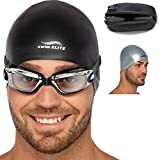 Our Pool Goggles + Reversible Swim Caps are tested by professional swimmers and instructors, but if they don’t get your seal of approval, we’ll do our best to fix the situation as soon as possible. That’s why your order comes with the BEST QUALITY GUARANTEE – ASK OTHERS: See how people feel about using our products. It’s usually things like “I love this!, “My Swim Goggles are looking good and they feel great!”.